After spending your hard earned money on a killer vaping setup, don't ruin it by skimping on the charger. Battery safety extends beyond making sure your battery is in good condition and the right amperage for your setup. Your charger is also important. If you don't buy a quality charger, you could ruin your battery and it could catch fire. Ruining the cell structure of the battery could also result in a delayed fire. You might think your battery is fine, then one day it catches fire while you're vaping. Just be careful and take the necessary precautions when dealing with these powerful little batteries. When buying an 18650 charger, or any charger for that matter, you want to make sure it will safely revive your batteries. There are several safety features that a charger must have before I decide to let it into my house. One of the first things I look for is the auto-stop feature. When it comes to battery safety, you definitely don't want to keep cooking your battery when it's fully charged. That could lead to battery cells melting and ruining the structural integrity of the battery. I don't think I need to go into detail why that's a bad idea. Plenty of things can go wrong when dealing with electrical current. I always make sure my chargers have protective features that safeguard against weird electrical shenanigans. It's almost like electricity has a mind of it's own. It can reverse and send a big jolt to my batteries whenever its mood changes. Make sure your charger has reverse polarity protection. It'll prevent your battery poles from switching and ruining the circuit. Speaking of circuits, you also want to make sure it has short-circuit protection. A short in the circuit can ruin your battery in the blink of an eye. Lastly, always make sure it has over-current protection as well. One thing I do to be extra safe is plug my battery charger into a surge protector. Surge protectors have these kinds of safety features as well. If the electricity in your house decides to act erroneous, the surge protector will act as your first line of defense. That way the battery charger will not have to deal with anything on that end but it's still capable. It will only have to worry about managing the battery. When a charger has independent charging bays, it's a lot safer and more convenient. It'll charge each battery independent of the other ones, safeguarding the batteries from each other. If one battery has lost its integrity and become defective, the other batteries won't be effected by it. Don't let one bad apple ruin the bunch. Also, there's the added convenience that you can charge different types of batteries with the same charger. Some of my favorite chargers let me charge several different types of batteries without a hiccup. By buying a higher quality battery charger, you'll save money in the long run. If you go cheap, you'll end up running through more batteries and more chargers. Chargers aren't that expensive to begin with. You might save $10 by going cheap but you're risking a whole lot more than $10. First of all, don't feel like this is the only safe charger in the world. It's not the only one. You can shop around if you're tight on funds, but try to stick to a reputable brand that as the aforementioned safety features. One of my favorite charges is the Efest LUC V4. Why, you might ask. Because it has all of the safety features above, is made by a very reputable company, and has even more features to make charging my batteries easy and safe. First, let's start with the obvious. It has four charging channels which is perfect for the vaper who has outgrown the two port chargers. If you're just starting off, two ports would be just fine. Especially if you have a mod that only takes one battery. But when you start using mods that take two and three batteries, two-channel chargers just don't cut it anymore. So I love the fact that the Efest LUC V4 has four channels. The channels charge each battery independently as well. There is actually an LCD screen that tells you the capacity of each battery. I like how it keeps track of each battery separately, which means the circuits are not crossed up. It also has all of the circuit and current protective features mentioned above. That includes short-circuit protection, over-current protection, and reverse polarity protection. Your batteries will charge independently and with all the necessary safeguards to ensure your little powerhouses keep their structural integrity. Remember the auto-stop feature I mentioned above? Well yeah, it has that too. As soon as a battery reaches capacity, it automatically stops charging. You can sleep with both eyes closed since you no longer have to check for an indicator light and remove your batteries from the charger. It's an annoying process that's no longer necessary with this charger. This charger has other safety features like zero-voltage activation as well. 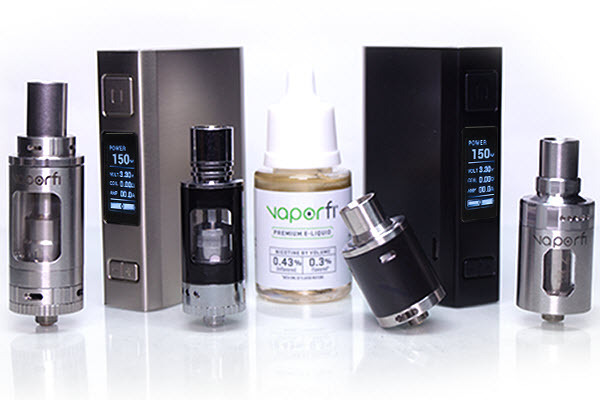 It's chock full of features to keep your batteries safe and vaping at peak efficiency. Also, it has another cool little feature that's pretty useful. When your batteries are below 15%, a blue indicator light will blink, telling you to leave the battery on the charger. You never want to drain your battery all the way to zero, and this smart charger knows that. 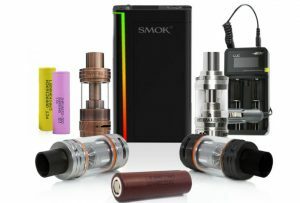 If you're vaping on mech mods, this feature is awesome and super convenient for a quick battery check. 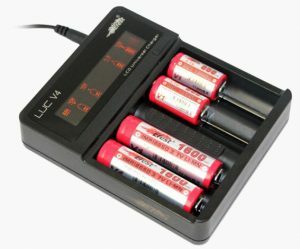 The Efest LUC V4 can charge too many different types of batteries for me to name right here. It'd be a boring list of numbers that goes on and on. 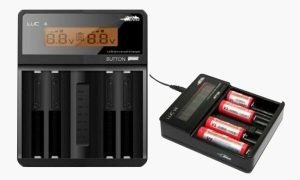 The main two types of batteries that might interest you are, of course, the common 18650 and also the big 26650 batteries. It can charge over 10 different types of batteries so I didn't want to list them all here. Most are not necessary for your average vaper. I mainly just use this charger for 18650s and 26650s but if I ever need to charge another battery, I'm in good shape. One thing this charger can do that many cannot is act as a battery pack for your cell phone. If you have a fully charged battery connected to channel two,you can plug your phone up to the USB port and charge it. It's not necessary when talking about a charger for vapes but I'm not mad about the bonus feature. It actually does come in handy from time to time. If you live in an area where the power goes out frequently, then it will come in handy a lot. 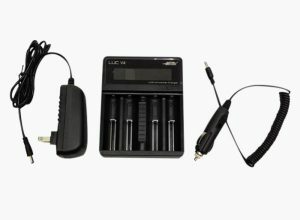 The Efest LUC V4 is jam-packed with safety features to keep your batteries safe and in good condition. It comes in just shy of $30 and will last you for quite a while. If you're looking for a reliable charger that will give you space to grow as a vaper, look no further. This is one of the best on the market. You can pick it up at DV for just $29.95. I've seen it priced a little higher at other places. Buying a charger like the LUC V4 will protect the investment you made in your batteries and vaping gear while simultaneously giving you peace of mind. If you're ready to have a state of the art, safe charger then click here.